Despite the fact that the Desert Force welterweight division has garnered the most attention,and rightfully so, another division has been quietly adding some promising talents and has thrown up a few prospective interesting matchmaking possibilities. 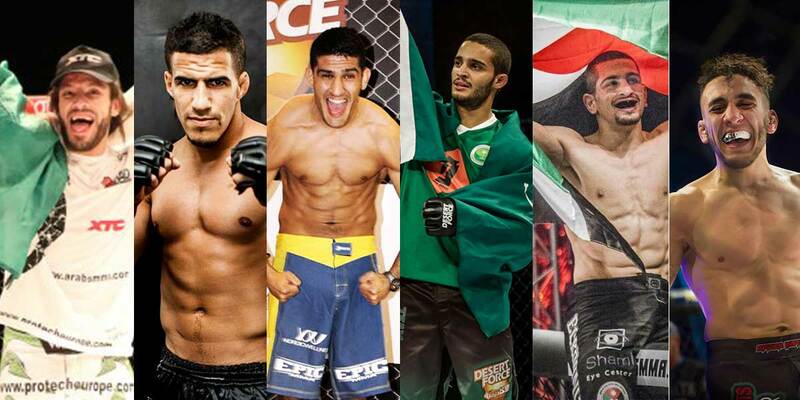 The featherweight division now features fighters like Walid Seghir, Chabane Chaibedra, Rami Aziz, Abdulkareem Al Selwady, Elias Boudegzdame, Lois Cadet, Ezzedine Derbane and of course Aziz Julaidan. The division, many would argue, could be separated into two different tiers with Aziz, Seghir, Boudegzdame and Chabanne occupying the upper echelon. This isn’t a scenario the promotion should look to maintain as an increasing number or fans are viewing some of the matchmaking with a degree of skepticism and ‘protectionism’. What makes the most sense in the division? How can the promotion untangle the current scenario? The below fights are based on the assumption that Aziz Julaidan is currently injured and cannot fight until he has fully healed. The below fights are based on the premise that title fights are earned on ‘merit’ only, and that ‘merit’ is earned by fighting quality opponents and is not determined by fighting ‘more fights’. In other words, it’s quality and not quantity. And perhaps most controversially, I am going to choose to not include the ‘interim’ title here. Why is that you might ask? To become the champion, you have to defeat the champion. If the champion isn’t available, then the next best suited fighters who have fought the highest quality opponents should be awarded the chance to compete for the ‘interim’ title. In my personal opinion, the records of Rami Aziz, Walid Seghir and Chabanne Chaibeddra weigh much more than the path taken by the current interim champion. Two wins (one via DQ) against Hussein Salem and one against Ali Al Naemi does not compare to their records. Without further ado, here is how I would structure the featherweight division. Walid Seghir – Chabanne Chaibeddra: There is little doubt that these two fighters belong right at the top of the division. Seghir is the previous winner of Al Batal and has fought a number of tough opponents in Europe before making his debut in Desert Force (which he promptly won via first round submission). Chabanne has the most impressive record of the bunch and might be a handful of fights away from fighting in a major promotion. His submission win over Rami Aziz has become part of his highlight reel. Its fighters like these that raise the bar of competition. The winner of this fight would have the opportunity to challenge for the title next. If Julaidan vacates the title for whatever reason, then this would be the title fight. Rami Aziz – Abdulkareem Al Selwady: It’s almost a miracle this fight hasn’t yet taken place. It seems like Aziz has been calling out Selwady since time immemorial. Selwady has historically remained silent until about a month ago when he posted a short response to Aziz on his Social Media. Aziz has won all of his fights in Desert Force against opponents not named Chabanne. This fight would be the chance for Selwady to break into the upper echelon of fighters and build on his most impressive performance against Lois Cadet. Aziz on the other hand could become the next contender by defeating the former champ. Elias Boudegzdame – Ezzedine Derbane: This fight would guarantee fireworks! Boudegzdame is one of the most well-rounded and exciting fighters to watch on the roster and would present Derbane with a step up in competition. Boudegzdame has been wanting to return to the DF cage and fight has way back to contention. A high-profile win over Derbane would add a lot of momentum to his case. For Derbane a win over Boudegzdame would leave little doubt as to his credentials as a championship level fighter and would also ensure his ascension to the upper echelon of fighters. Ali Qaisi – Hamza Kooheji: Kooheji was caught early in his last showing against Derbane by a flying knee that left him out cold. He will want to get back on the horse quickly and make amends as soon as possible. Qaisi just recorded his first win in Desert Force and will want to build a head of steam as he look to rise up the ranks.